BAGUIO CITY – A comebacking official of the Cordillera Office of the Bureau of Fire Protection (BFP-CAR) assured the public firefighters in the different fire stations are trained to respond to calls for emergency assistance within a 7-minute duration provided that the area where the fire incident or other emergency cases that needs response is accessible by roads. “We continue to hone the firefighting and emergency response knowledge and skills of our fighters through various training in partnership with local and international firefighting organizations for them to improve their capability to respond to simple and complicated incidents that transpire in their areas of jurisdiction,” Mendoza stressed. The BFP-CAR official expressed the bureau’s gratitude to the barangay and city governments for providing for the lot and the structure for the Quirino Hill fire substation because such gesture will definitely help in improving the presence of firefighters in strategic areas where the response time will be maximized to spare life and limb from being exposed to eminent danger due to fire and other emergency incidents. For the past two decades, the local government had been allocating funds from the city’s annual budget for the purchase of different fire trucks, various units of firefighting equipment among others, and the put up of fire substations to augment the assistance being provided by the BFP central office for its sustained maintenance and operation. 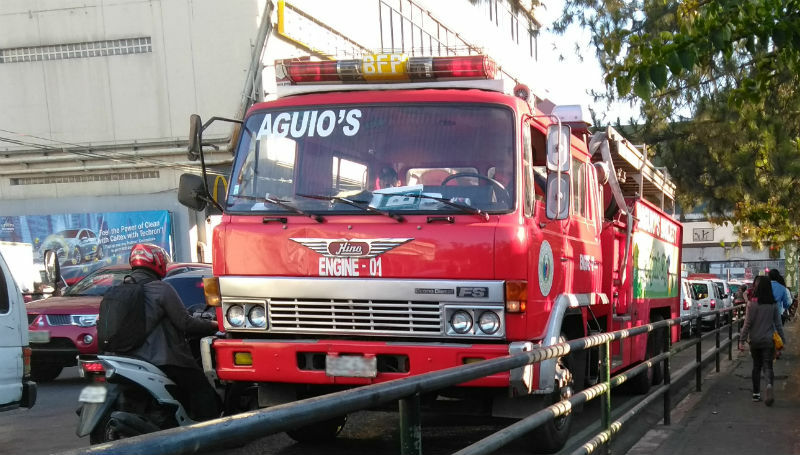 As part of the agency’s commitment in increasing the personnel of fire stations in the different parts of the region, Mendoza approved the request of Baguio city fire marshal Chief Inspector Nestor Gorio for the deployment of additional fire officers to augment the initial 5 BFP personnel assigned to man the operation of the Quirino Hill fire substation to help in improving the firefighting capabilities of local firefighters in the area. Mendoza committed to the local government the BFP’s all-out support to the programs, plans and projects geared towards uplifting the status of firefighters and providing the needed units of firefighting equipment for better response to emergency situations.